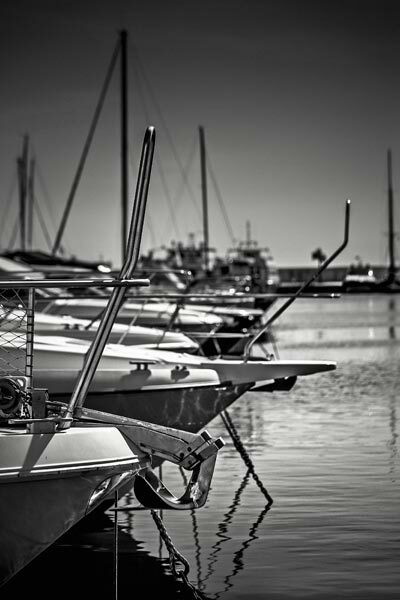 With capacity for 763 boats, it is the Marina with the greatest number of moorings acress the island of Ibiza, giving shelter to both the traditional llaüts of local seamen and large yachts that visit us every season seeking a quiet and discreet place to relax and enjoy the beauty of Santa Eulalia del Río. The traveller does not feel like a tourist here. On the contrary, over the years friendships and bonds of affection are forged, encouraged by a friendly service combining the taste of a coastal enclave with the comforts and services of a world class Marina that improves its facilities every year. At the main entrance of the Port are the headquarters of the Santa Eulalia del Río Yacht Club, which carries out throughout the year an important role in promoting nautical activities, to be noted, as well as regattas and major events (organizer of the World Class Tornado Sailing Championship in 2013), the delivery of different sailing courses. One of the main attractions of the Port is its shopping area, which features a variety of services. With nearly 20 restaurants, with cuisine ranging from Ibiza and Mediterranean cuisine to the best grilled meats, from Italian and Asian restaurants, to German and British cuisine. The sunsets invite you to enjoy a drink at one of the bars and when the night progresses, there is also a wide variety of music on offer.